Video game developers have a knack for creating funny, entertaining and awesome villains. So, let’s take a look at the top five video game villains of all time! Dr. Robotnik is one of those extremely persistent villains that just won’t give up. The hero he’s after is Sonic the Hedgehog. But his attempts at putting the speedy, blue hedgehog out of commission have never worked. 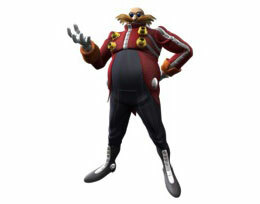 Dr. Robotnik’s ultimate goal is to turn the world into Eggmanland. Also, like most villains, he’s extremely immature and often throws a fit when Sonic foils his plans. His first appearance was in 1991 in “Sonic the Hedgehog” for the Sega Genesis. The Covenant is an alien race that has launched a religious war on planet earth. What makes them so interesting are their soldier classes, vehicles and starships. The funniest aliens in the Covenant army are definitely the grunts. With their squeaky voices and strange conversations they have with each other, they’ve made me laugh many times. Something important to remember before going into battle is elite units often travel in groups of two to four. Brute units are usually found in squads of three to six strong. And if you see a hunter, you better have your guard up because they always travel in pairs. When it comes to vehicles, the Covenant has a pretty awesome lineup. Their collection includes fast recon vehicles like the ghost, heavy duty tanks like the Wraith and more. But none of their other vehicles can compete with the Scarab Tank. The Scarab Tank is a huge, walking tank with 6 legs. And if you thought Wraith tanks were bad, think again. 1 Scarab Tank is about the size of 8 Wraiths stacked on top of each other! Wario is the antithesis of Mario. He appears to have a lot more muscle than Mario. However, most of Wario’s mass is pure fat. Despite this, Wario still believes that he’s much better looking than Mario. He appeared for the first time in Super Mario Land 2: Six Golden Coins on the Game Boy. His role in the game is the final boss. 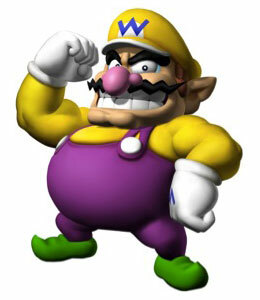 Wario has also appeared in his own series called “Wario Ware”. The first game was released in 2003 for the Game Boy Advance. Wario Ware games are also available on the Nintendo Wii. One of Wario’s trademarks is his yellow motorcycle. It can be seen in Wario Ware, Mario kart Wii and even Super Smash Bros Brawl! Also, as seen in the intro movie for Super Smash Bros Brawl, Wario is prone to nuclear gas. Peeewww! Whether he’s appearing in a comic, movie or video game The Joker never fails to bring a chill to my spine. And Batman Arkham Asylum is certainly his craziest video game role ever. The developers did a great job of incorporating The Joker’s crazy schemes into the game. For example, many of the game’s missions involve solving riddles that often lead you into dastardly traps. 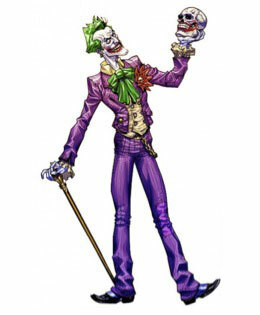 The Joker is voiced by Mark Hamill in Batman Arkham Asylam. And many critics have called it one of the best portrayals of the Joker ever! Bowser is the most annoying video game villain of all time! After all, he loves to crash parties and cause trouble for Mario. Besides crashing parties, Bowser’s ultimate goal is to take over the Mushroom Kingdom. And he uses every single one of his resources to attempt to achieve it. Bowser has appeared in other games as a playable character. The Mario Kart series, Mario Party series and Super Smash Bros series being the most notable. My name is Forest Byrd and I hope you enjoyed this look at the Top 5 video game villains! 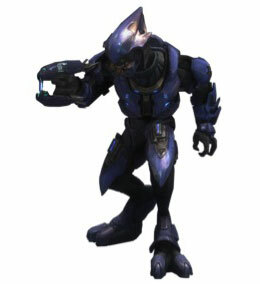 Now, if you’ll excuse me, I have to get back to climbing up the Halo Reach ranks in order! I’m so close to ranking up!